I like to check out the books and movies my kids are interested in. In this spirit, I just read Stephanie Meyer's Twilight, a hugely popular novel that all of my daughter's friends are talking about. First, happily, I didn't have a problem with this book, although the subject matter -- vampires -- made me a little nervous before I began. I'd give it a solid PG rating, with nothing particularly scary or otherwise inappropriate. No bad language, nothing beyond a few chaste kisses, and references to blood drinking were minimal and superficial. For those of you who need a little story background (no spoilers), this book is about a 17 year old high school student named Bella, who transfers schools and is perplexed by her sudden popularity. However, there is one student she sits next to in Biology -- Edward -- who seems utterly repelled by her. 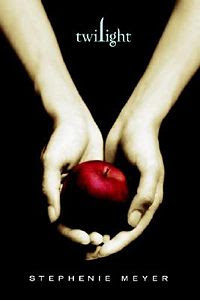 Are Edward and Bella strong enough to stay together despite temptation, or should they separate? What interested me the most was this question of temptation -- forbidden fruit -- how is it best handled? I found myself identifying with Edward, who knows his nature is bad despite all efforts. He knows he could destroy that which he loves if he moves closer, and yet he can't bear to stay away. To break an attraction like this can be excruciating, and may leave wounds that never heal. In the book, Edward and Bella decide instead that they can fly close to the flame without being burned. It makes a better story, anyway, although objectively I doubt the wisdom. Flee temptation, I've always heard. Just for you parents, I found lots of good things in this novel, especially Edward's and others' successful struggles to live good lives. It is very innocent/romantic with a brooding hero; I found it a reasonably interesting novel, although slow in some places. Then again, I'm not exactly the target audience, so I may be missing some of its charm. For those of you who don't know, I've done an in-depth study of story (novels and films) with the aim of articulating how stories can be put together. I've been fortunate enough to coach several writers to apply and refine my paradigm, and I think I'm onto something! This is something I'm writing up now, as a book that I hope will be out before too long. A main, and I mean really main, really big, problem that I keep running across I've called the "One Darn Thing After Another" syndrome. But I've just found the icon for this that I think is perfect -- the Welfare Hydra! This is an impressive movie with astounding special effects for 1963, and I enjoyed watching it on many levels. I first saw this movie about 6 years ago with my boy, when as a first grader he became interested in ancient warfare topics in general (as an aside, he impressed the heck out of his teacher by taking half an hour to explain the Pelopynesian War to the class. My daughter, though, is the Greek myth expert. But as a proud mom, I digress). So how might one push a story along? There are many techniques to do this, but the core principle is to consistently raise the stakes for the protagonist: put more in jeopardy, make it uncertain that the protagonist can accomplish a goal that is vital to him and for the long-term success for the story. Everything counts, including little actions. Who cares how the character opens a bottle of water? But if the character isn't sure that she will be able to sneak a sip of water to calm a cough before she has to make an announcement, it might be more interesting. I couldn't resist. I received this in an email, and just had to share it with you, my dear friends. 3. He spoke with the wisdom that can only come from experience, like a guy who went blind because he looked at a solar eclipse without one of those boxes with a pinhole in it and now goes around the country speaking at high schools about the dangers of looking at a solar eclipse, without one of those boxes with a pinhole in it. 17. He fell for her like his heart was a mob informant, and she was the East River . 18. Even in his last years, Granddad had a mind like a steel trap,only one that had been left out so long, it had rusted shut. Last week I attended the GPCWC conference, organized by Marlene Bagnull. This is a picture of two friends, Hannah and Alex, and me on the right. Hannah is writing an incredible novel called Mortis that she has kindly let me critique over the past few months; Alex is a screenwriter. This is the cafeteria where we ate and socialized. I'm in the middle, on a panel. There's Marlene. Her voice was giving out by this point! Here's a picture of my NANGIE class for advanced novelists. This is the main room, where book sales and socializing took place. There's me, with my book. I wish I photographed better! Win $50 to Write a Review of Lever on my Blog! Thank you for visiting my blog! If you're new, welcome. If you've been reading for awhile, you already know that my book, A Lever Long Enough, will be released in January for general sale, which means it will be available on amazon then and not before. 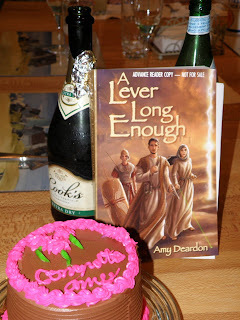 With prepublication copies out, though, it's time to celebrate! Although the book isn't generally available yet, you readers of my blog have an opportunity to read the book early. I'll tell you at the bottom of this entry how to obtain a prepublication copy. I'm very excited about my book, and I hope you enjoy reading it as much as I enjoyed writing it. I'd love to hear what you think about Lever, and therefore am having this little contest. The Israeli team, led by Benjamin Feinan, has exactly seventy-two hours to collect the video evidence. Failure threatens the existence of Israel and may cause the world to slip into all-out war. Drawn into a web of first-century deception and death, the only way to escape is for Benjamin to change the past. In the present, a traitor attempts to sabotage the mission and seize control of the military complex. Only Benjamin can reveal him, but he is trapped two thousand years away. I wrote this book to the skeptic I used to be. Lever takes a more neutral stance to Christianity than many CBA books, although it clearly leads the reader to conclude that the resurrection is reasonable. As such, this book can be used as a tool to open discussion with a nonbeliever of who is Jesus? 1. I’m looking for honest amazon-type reviews to post on my blog. 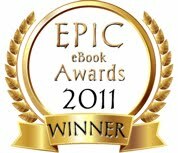 All reviews, good or bad, are valued and eligible for the contest. Include a title for your review and your star ranking—just like amazon. Also give a nickname if you want to use one. 2. You can send reviews to me at amydeardon @ yahoo.com between now and September 20, 2008. 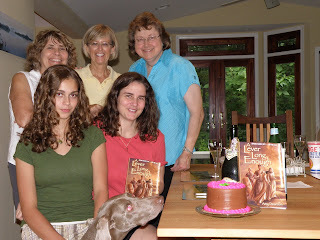 On September 21st, I will post all reviews at once on my blog here, at http://amydeardon.blogspot.com. 3. Then the fun begins! Everyone who visits my blog will be able to vote (once) for the most thorough and well-written review. (no spoilers on plot, please). The voting period will last between September 21st through September 30th. If there are more than 8 entries, I will throw in a second prize of $25. My verdict of winner(s) based on blog vote is final. 4. I will NOT share your email address with ANYONE without your permission, although I may send occasional book release/related announcements. If you don’t wish to receive these, just let me know. 5. This contest is open to anyone who learns about it and would like to enter. Did Jesus rise from the dead? Deardon wrestles with this question in an exhilarating adventure full of high technology, romance, and treachery that excites the imagination. There are no easy answers, only compelling arguments that will challenge your beliefs -- whatever they may be. Amy Deardon's debut novel is compelling, intriguing and explosive! Fans of Michael Crichton, Mark Mynheir, and Creston Mapes, will love the fast-paced, character-driven and suspense-filled plot. I cannot wait to see what else Deardon has in store for her fans! In A Lever Long Enough, Deardon expertly weaves science, technology, fact, and fiction into a riveting tale. Deardon's ability to take the reader from within a top-secret military lock-down facility to a realistically depicted 1st Century Jerusalem makes this science fiction thriller a stunning and captivating read from start to finish. This is a book packing multiple big pleasures within its pages—clever time-travel adventure, political intrigue, fascinating historical settings, philosophical/religious challenges, and a captivating mix of imagination and technological authenticity. Deardon's exhaustive and meticulous research and her deft writing skills set this book well apart from the crowd. Whiz-bang twists in a never-ending series of surprises and subterfuge drag the reader right inside all the thrills. Breathless shocks, sweaty fingertips, romantic suspense, forbidden faith, a trail of corpses—yes, this one is definitely hard-hitting…Ten out of ten! I hope to see more work soon from this brilliant author. Ms. Deardon has done her research! From modern-day science to ancient Israel, Deardon's attention to detail makes these two colliding worlds real and alive. Warning: it's a page-turner! A fiction strong enough--To borrow a phrase from Archimedes, this "Lever" might just move your world. Smart, action-packed, and meticulously researched, this thriller is thoroughly believable. So buckle up and get ready for your own "time throw"--once you open this book, you will immediately find yourself transported five hours into the future. Be sure to clear your schedule! Thrilling…romance, suspense, and an unpretentious and thought-provoking look at beliefs…A great story. A great premise. A great writer! This book pulled me in. It’s a thoughtful, developed, and intense exploration of the biggest mystery in Western Society. At the end, you’ll be begging for more. A Lever Long Enough is a fascinating story of faith and action. Ms. Deardon’s use of technology keeps the adventure high, and Biblical accuracy makes the story factual and believable. I could barely put the book down, and am eagerly anticipating the next part of the adventure. Fascinating and intriguing…unpredictable and provocative…I look forward to the sequel. Now it's your turn! All feedback, positive and negative, is valuable and eligible for this contest. Q: Why does the front cover of this book say it’s not for sale? On the back, why is there a white box with release information? A: This edition of A Lever Long Enough is an ARC, an advance reader copy. Many publishers put out ARCs to gather prepublication book reviews and other promotional quotations or helps for marketing before the book is actually “released” for sale to the general public. Q: What is the list (retail) price of this book? Q: Can I find this book on amazon? A: Not until January. Release date is January 12, 2009. Q: Can I buy copies of the book before the release date? bulk discounts are available; email sales @ taegais.com for details. OK, that's it for now. Please email me with any questions or comments at amydeardon @ yahoo.com. I hope to hear from you soon. Well, here it is, my friends! I will be leaving tomorrow to go to my writer's conference, and will return on Sunday. I've been to the conference twice before; it's fascinating to watch how people interact here, and I enjoy splitting my time equally between perusing books in the corner, and chatting with an acquaintance or two I've met in the hall. Conferences are usually attended by many hopeful writers with manuscripts in hand, published writers of articles or books, and the faculty comprised of agents, editors, publishers, and well-published authors. The conference is set up with classes throughout the three days, and lots of time for interaction. Each attendee also has the opportunity to meet individually for 15 minutes with different faculty members. The agents and editors are always in high demand, of course. I find it amusing to watch how people respond to these agents and editors, as if they are rock stars or something. Seriously. I heard a story last time (could be apocryphal but I'd buy it) of an eager attendee pushing manuscript pages to an agent under the bathroom stall. Whenever an agent enters the lunch room, five tables (well, the people at the tables) immediately call out, "Sit here! Sit here!" The faculty are hunted animals. They cluster together in protected zones. The first time I went to the conference, I was sweaty-palmed and breathless to make a good impression with my manuscript, like everyone else. We all would whisper to each other, "I blew my appointment with so-and-so," and the others would whisper back reassurances. The second year I didn't have an agenda, and was surprised at how much more enjoyable the experience was. I chatted up my appointments, asking the faculty about themselves and only peripherally promoting a manuscript, and I think maybe they appreciated the break. This time is a new experience again: I will be talking about my book for a panel, and will be able to sell it at the consignment table. I am even sponsoring a contest to take place on this blog: details to be posted for you when I get back, my dear friends, so you may also enter if you would care to. I will be attending a continuing course called NANGIE: Advanced Novel Writing. This course is taught by Nancy Rue and Angela Hunt (hence the acronym). The first NANGIE course I took was fabulous, and I'm definitely looking forward to this one also. OK, that's enough for now. Too many "I's" in the previous paragraphs. Report upon return. My books are back from the publisher! Aren't they beautiful? Let me tell you a little about my friends. We call ourselves the Weaklings -- sort of after CS Lewis's group called the Inklings. I don't know, we thought it was kind of catchy, especially from Phillipians 4:13: "I can do all things through Christ who strengthens me." It works for us, anyway. We've been getting together for about 10 years now, once a month or so. We talk about life and philosophy and writing. These ladies are wonderful, and I'm honored to know them. OK, in the back from left to right are Donna, Fran, and Bev. Front row is my daughter (with the beautiful hair) and me (with hair definitely uncombed). And then in the very front is the lovely Lucia. I'm so touched. I haven't had a party since I graduated fifteen years ago, and I have to say, this was really really nice. I'm still smiling. I'm so excited to have actually accomplished writing and publishing a book. Weaklings, thank you so much for the party. And thank you, my dear friends. Here is my tip of the champagne glass to you.